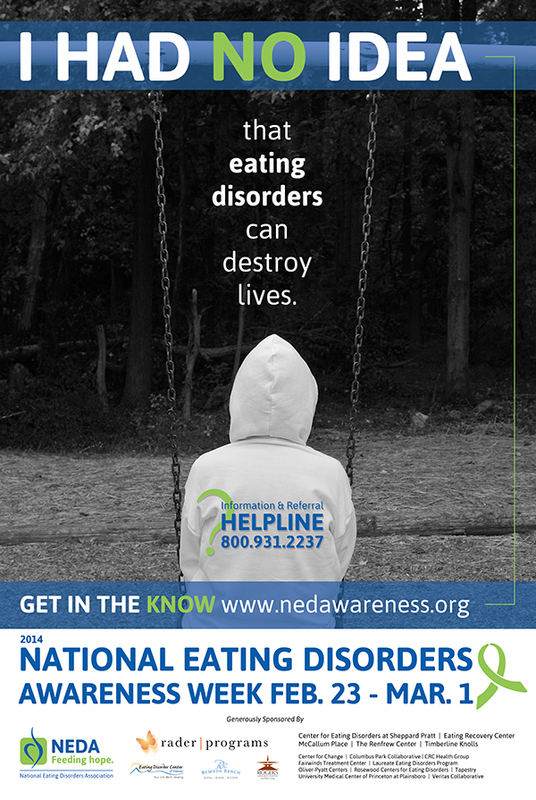 It’s National Eating Disorder Awareness Week (NEDAW) in the U.S. this week (February 23-March 1, 2014). When I learned that my regularly scheduled post would be this week, I immediately began to contemplate what “new angle” on the HAES approach and eating disorders (EDs) I should try to address. Fortunately, it didn’t take me too long to realize that I’m no expert on eating disorders and shouldn’t pretend to be one. My next stop was to look into the theme of this year’s NEDAW: “I had no idea.” Given my lack of expertise in this area, the theme seemed like a promising starting place for my post. One problem that immediately raised itself was how to write 1000 or so words about “no idea.” Another item that began to nudge its way into my thought process was the “Get in the know” tagline at the bottom of the NEDAW poster. Yes, it’s a good thing to invite people to become more aware, and yes, it’s a good thing to promote more knowledge about EDs. So why was this troubling me? 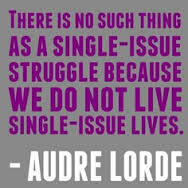 As I grappled with this dilemma this past weekend, I also faced a due date for the syllabus for an upcoming course on cultural competency in health education. Perhaps this whole blog post seems entirely predictable with the hindsight of the confluence of these two due dates, but as I worked on infusing my cultural competency curriculum with the idea of cultural humility, I started to get this idea that cultural humility was relevant to EDs, too. At first, I couldn’t quite figure out why. In addition, health care should be patient-focused to avoid having health professionals’ potentially biased agendas obscure the patient’s unique needs, which necessarily arise in a complex cultural context. Tervalon and Murray-Garcia also emphasize community-based care and community-informed advocacy as part of cultural humility. The authors take this idea far beyond merely providing care in community settings to asking health care providers to become “both effective students of and partners with the community.” I would add here that the health professional’s obligation to be an “effective student” does not create a corresponding obligation on the part of community members to “teach.” The health professional’s learning ideally takes the form of engagement rather than putting any obligations whatsoever on community members. The chief purpose of the concepts of cultural competence and cultural humility is to guide health professionals in providing services and creating policies to help individuals and communities of different cultural backgrounds. Is it incongruous to bring up cultural humility in talking about what some might describe as a set of related diagnoses? At first, it seemed incongruous to me – why did I feel compelled to put these two ideas together? It was as if I was conflating awareness of a diagnosis and its consequences with multiculturalism and diversity concepts. Fortunately, the connection turns out to be more than the timing of my two deadlines. It began to come clear as I contemplated the historical trajectory of “cultural competency” in the health professions. Many early discourses around cultural competency in the health professions highlighted cultural “awareness.” The idea was that if we became aware of the “facts” about a particular culture (their food choices, child-rearing practices, sexual mores, etc.) then we could provide them with competent health care services. Few today would suggest that this type of awareness is enough; indeed, in isolation from community engagement and patient-centered practices, this type of “awareness” can lead to stereotyping and the provision of brutally insensitive health care. So when the NEDAW website suggests that we all “do just one thing” to raise awareness—such as distributing a brochure or tweeting a fact about eating disorders—it’s just not enough. The idea that one could “know” about eating disorders after reading a brochure or a few tweets… Well, I finally figured out why the “Get in the Know” tag line was bothering me. I’ve repeatedly heard the expression that where EDs are concerned “genes load the gun and environment pulls the trigger.” I know that there is a vast literature that seeks to explain and understand the sociocultural aspects of EDs. But the connection between EDs and culture that I am drawing here—or trying to draw, at least—is something different, or perhaps more, than that. EDs have historically been understood as a middle-class white woman’s problem. If that was ever the case, it isn’t now. EDs are profoundly cultured experiences, and it seems to me that one does not experience one’s eating disorder independently of one’s cultural identities, but rather in the context of, interwoven with, and because of these identities. At best, this makes any generalization about who suffers, and how they suffer, only partially true. At worst, the statistics and generalizations about eating disorders give rise to stereotypes and a harmful obscuring and minimizing of the textured experience of each sufferer. Ironically, mere “awareness”—even awareness about the harmful effects of the dominant culture—renders invisible the cultural wounding of those outside the dominant culture. If we settle for mere “awareness” about EDs, we are complicit in the invisibility of this suffering. As you were wise enough to observe early in your post, you have no expertise on eating disorders. I wish you’d moved on to a different topic then and there. Yes, eating disorders come in all shapes and sizes and colors and ethnic identities. And yes, they have long been stereotyped as diseases of thin, rich white girls, and that’s not accurate in any way. But as the mother of a young woman who has struggled with anorexia for years, and a journalist who has been immersed in the science and research around anorexia for nearly as long, I am puzzled by your writing about eating disorders through this lens. No, I am offended, actually. To me this reads like another coded way of suggesting that cultural marginalization or identity or family or fill in the blank with other sociological ideas play a causal role in eating disorders. And believe me, the literature is already very full of such suggestions. We used to talk about sexual orientation and autism and schizophrenia and a dozen other conditions in exactly the same way; now we know better. We know better about eating disorders, too. I’m offended that once again eating disorders are being used to make a larger point about culture and stereotyping. It’s a point that needs making, but to make it on the back of eating disorders like this, without really knowing what you’re talking about, just perpetuates the ignorance that’s so pervasive around eating disorders. These are brain disorders, so described by the director of the Institute for Mental Health. And if you’d ever watched a beloved child fall down the rabbit hole of anorexia you would understand this in a profoundly different way. Someone in the grip of anorexia is not reacting to culture, or “experiencing” a disease through a cultural lens, or whatever other words you’d put around it. They are “experiencing” a severe and serious illness, one that kills 20% of those who are unlucky enough to develop it. If you’d ever watched your beloved 14-year-old writhe in terror and pain and guilt over eating a popsicle, you might have a different perspective. @ Harriet – Thank you for sharing this perspective. I will incorporate it into my always expanding but always insufficient understanding of the complexity of EDs. I apologize for causing you pain and offense. You are correct – I don’t understand what causes eating disorders. If my inartful writing made it sound like I thought I did, I apologize for that also. I never intended this to be a post about the causes of eating disorders and urge that no one interpret it that way. My starting point is only this: that we live cultured lives. Our actions as well as our reactions – both to the environment and to the cues of our own bodies and psyches – happen in the context of our multiple identities. Our illnesses are cultured experiences, too. Culture sometimes even shapes whether we diagnose an experience as an “illness” or not. This doesn’t mean that culture causes any illness, but it is a key source of the meaning we give to it and of the way we experience it. @Fall, thank you for your reply. You don’t understand what causes eating disorders because no one understands, including me. And I agree with you, and others who have commented, that culture is important, and that body-shaming and other forms of social and cultural critique that makes us feel “less than” are not OK.
What one commenter labels “vitriol” is frustration–and I’m sorry if I made you feel attacked as that was not my intention. I have felt frustrated for the last 9 years, as the parent of a teen and now a young adult who has struggled with anorexia, by the attitudes of doctors, nurses, friends, and a culture at large (there’s that word again) that seems to deliberately misunderstand eating disorders. That confuses correlation with causation. That suggests on some level that “everyone knows” eating disorders “must be” caused by bad parenting or skinny models or the food industry or whatever. I think anyone who has read my work knows how I feel about those things, and knows I spend a lot of my life raising awareness of body shaming, weight stigma, and discrimination of any kind, whether it’s around color, gender, size, ethnicity, sexual orientation, religion, or any aspect of identity. But–I am frustrated by the lack of understanding, and tired of the assumptions that are often carelessly perpetuated around eating disorders. By the ill-informed judgments that stigmatize any family with an eating disorder. By people who wonder “Why can’t she just eat/stop eating/stop purging?” and insist that eating disorders are lifestyle choices, or addictions, that people can just “choose to recover.” I could go on and on. I’ve heard it all. I am not saying you are making these assumptions or saying these things, just that it was hard, during National Eating Disorders Awareness Week, when the media suddenly discovers eating disorders and you can’t escape it, to read from a someone I consider an ally something that caused me such distress. I’m sorry if I, in turn, caused you distress, @Fall. But I’m not sorry to raise these issues. This is a brilliant piece written by a brilliant woman. How many people can come up with insights like this? Fall, you are absolutely brilliant. Thank you so much for this post. You’re welcome Miriam. I am not so sure about the brilliance part – I didn’t come up with cultural humility, just applied it… but it’s nice to be appreciated. Love this: genes load the gun and environment pulls the trigger. I’m going to keep that in mind. One particular experience drove home to me the fact that fat women who have spent a lifetime trying to lose weight have a very different culture than slim women who deny themselves some food pleasures thinking that thus they maintain their weight. I was sitting with the latter type of woman at a table laden with fruits, cookies, and such. Struggling with the desire to eat the cookies, I instead ate several pieces of fruit (despite the fact that I don’t like fruit.) The woman then reprimanded me for eating so much fruit because “fruit is fattening.” I had never thought of fruit that way–to me, fruit was an inferior substitute for “real” sweets, since, in my childhood, I’d always been offered fruit while other children were offered ice cream, cake, etc. My slender critic must have had no idea of the cultural meaning I attached to fruit, nor had I any idea that fruit could be considered “fattening”! If anorexia has no cultural context, I would like to know about hunter-gatherer societies where anorexia was a problem, or indigenous cultures today where eating disorders are rampant. Anorexia prevalence has been roughly the same everywhere it’s been studied for as long as it’s been studied, at around .5-1 percent of the population. I am trying very mightily to wrap my brain around Harriet’s comment and learn from it. This point of view of E.D’s being purely neurological or caused by brain chemistry/wiring has been emerging lately and is causing a split among Eating Disorder Clinicians and Families where someone is struggling with an ED. Here’s where I keep coming up against a wall. Even if the etiology of ED’s is brain functioning, the teasing, bullying, and financial exploitation directed at people who aren’t perfect enough in society’s eyes is a problem. Whether or not it is a co-morbid problem or cause may be up for debate, but completely dismissing it as a related issue of concern does a disservice to the person suffering from a horrible life threatening illness. And what we don’t need is for diet companies, and the pharmaceutical, fashion, industries to benefit from a rift among the people who are united in fighting against Eating Disorders. I am open to learning more about Harriet’s approach, but hopefully without the vitriol, I do know first hand what it is like to watch a child suffer with an e.d. Not to try to start a fight over what Harriet said, but to simply add what I think this post is about: I am pretty sure that being offended by it is NOT a good reaction, that actually, reading it in that way is exactly the opposite of the way it should be read. Let me tell you why… because I am offended by the fact that DOCTORS ARE PEOPLE AND THUS CAN BE JUST AS MUCH A BIGOT AS ANYONE ELSE. it is CRUCIAL to recognize that even if something is very much a physical disease (like depression or schizophrenia for instance) there is a wider culture of misunderstanding, stigma, and stereotyping that will always be present and which can completely block a person from getting any sort of help period. For instance, binge eating. It’s an eating disorder, but people still continue to see it as just the lazy and stupid behaviors of weak, fat people who obviously have no self control. We are taught to see others who binge as worth disgust, scorn and hatred… yet its a recognized eating disorder. Let me hit closer to home. My dad binged at meals and between meals, made eating in our house a competition, and taught and reinforced binge eating behaviors in me. Now I binge eat. And I hate that I do it, and have to walk around as yet another “obese” woman who shouldn’t eat. I feel uncomfortable eating in public because people stare at me. But if you were to ask my father what was more shameful, the fact that he ate three plates each time we went to a buffet, or the fact that he actually had a mental illness that he SHOULD have gotten psychological treatment for, he would say it was getting treatment. He didn’t have a problem. Having a problem and getting treatment was out of the question. It was out of the question in regards to his smoking too, and the fact that he had an ever growing voice in his head, named “Charlie” who talked to him and who was better company than his own family. When he wasn’t talking to Charlie or ignoring us, he was often yelling and angry ALL THE TIME. So yeah, needless to say my dad had a different “brain.” But if you think that cultural stigma is something that should be ignored, because my dad’s brain is where it was all at, then you obviously don’t know what you’re talking about. We experience diseases not just physically, but culturally as well. If you find yourself with HIV, it’s not just a physical ailment, it’s also the hatred, fear, and scorn you get from anyone who knows that you have the disease. Suddenly you are gay or an addict… negative stereotypes that no only prohibit true awareness, but make those who live with a physical condition suffer by being hated by others. “in my brain”. That really helps when I find myself told by anyone from a strange to a doctor that I should just “go on a diet”. I eat too much. I should cut out all the sweets. It’s my own fault for being so fat… stop eating so much. This is why cultural competency and humility are important. And anyone who wants to be offended by the idea is looking to pick a fight, instead of dropping their own biases at the door to actually engage in real and meaningful dialog that will not just raise awareness, but maybe get people to actually stop being bigots and instead be supportive. That’s where culture comes in. No disease is ever cured when those who don’t have it use it as an excuse to marginalize those that do. @Harriet –I appreciate your reply above. I didn’t feel personally attacked (though it’s pretty clear that you don’t like my post, but that’s not the same thing). I learned from your words and appreciate your candor. One of the main points of this post is that if I want to be an ally, I have to listen. So thank you for speaking, and I will do my best to keep listening. I am going to address what I did like: “If we settle for mere “awareness” about EDs, we are complicit in the invisibility of this suffering.” As the mother of a recovering anorexic and a new activist, I hope to turn the conversation to access to and insurance coverage for treatment. I disagree with Dr. Deah in that that I think feminists can deal with the body-image, thin-focused culture and educators can address bullying, but only WE in the ED world will talk about research and treatment.